I'm so excited today. 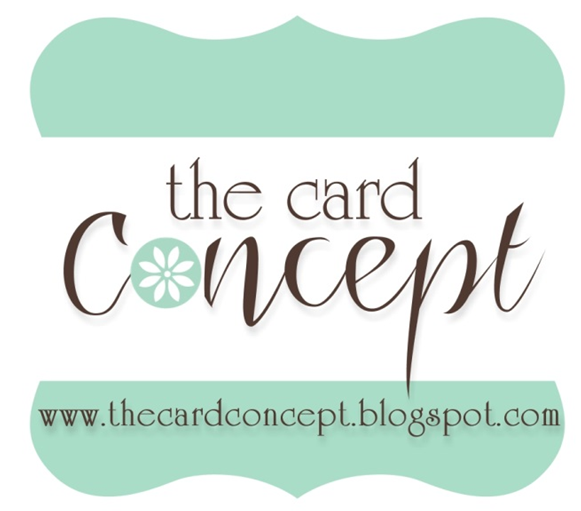 I got an email from Carolyn Dube from acolorfuljourney.com last night asking if she could feature my Jump for Joy journal page on her blog talking about the Artspiration she offers each month for her email subscribers. Of course, I said I would be very honored. I'm a big fan of Carolyn's. I love her style and I've taken a couple of online classes from her and I love her teaching style also. She has taught me a lot since I've been following her. The neat thing about all this is when I checked her blog just a little while ago not only did she feature my Jump for Joy page but she also put the journal page I made and entered in the July Gelli Print Party. I know you can all hear me clapping all over the world. 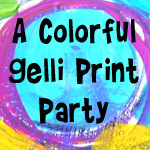 If you are not familiar with Carolyn Dube and would like to learn more about her fresh, bright approach to art and life click on the link I left above and be sure to click over and subscribe to her newsletter and play in the Gelli Print Party each month, you too might get featured. 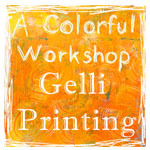 If you don't know about Gelli Printing Carolyn has lots of videos and just to let you know if you get started it's very addicting, with each piece of paper you pull off the Gelli Plate it's always a surprise as to what you get. Sometimes the 2nd ad 3rd pieces of paper you pull off are the best. Lots of great background papers to play with. 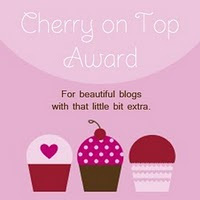 Congratulations--that's awesome and I really love the pages she featured!